A solar electric energy installation to be completed before year’s end will enable Pennsylvania-based PennFleet Corporation to perform 100 percent of its customer truck repairs using the power of the sun. 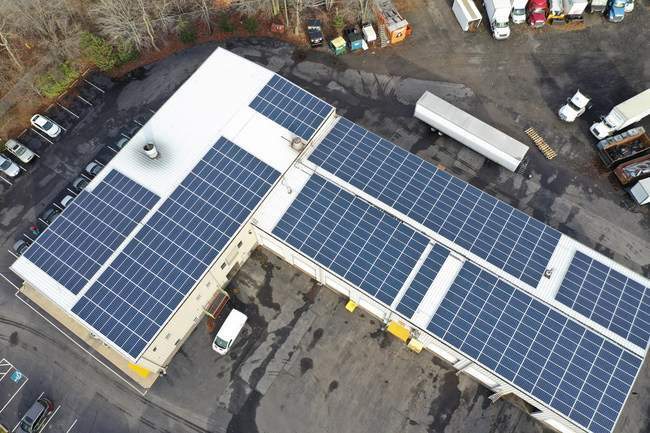 PennFleet, a provider of collision repair services, mechanical services and roadside emergency response for medium to large truck fleets, will use more than 500 roof-mounted solar panels and five inverters to convert sunlight to electricity. Installed by Paradise Energy Solutions of Paradise, Pa., the new system will generate enough kilowatt hours in its first year of production to cover 102% of the company’s annual power usage. Founded in 2004, PennFleet is one of the fastest growing privately held companies in Greater Philadelphia, employing more than 30 people.